The biggest natural lake in France, the Lac du Bourget is the ideal location to enjoy water sports with a temperature of 24°C in summer! This area of wilderness where the mountains meet the edge of the blue lake is a 3-star Water Sports Resort. With 40km of banks, 14 pleasure-boating ports equipped with 2000 rings and 10 free, supervised beaches, the fun is endless! From lazing around on the sandy beaches to the joy of sailing, and everything in between, including stand-up paddle boarding, rowing, water-skiing, canoeing, diving and kite-surfing. All ages and all abilities can enjoy the water, the outdoors and the sun. 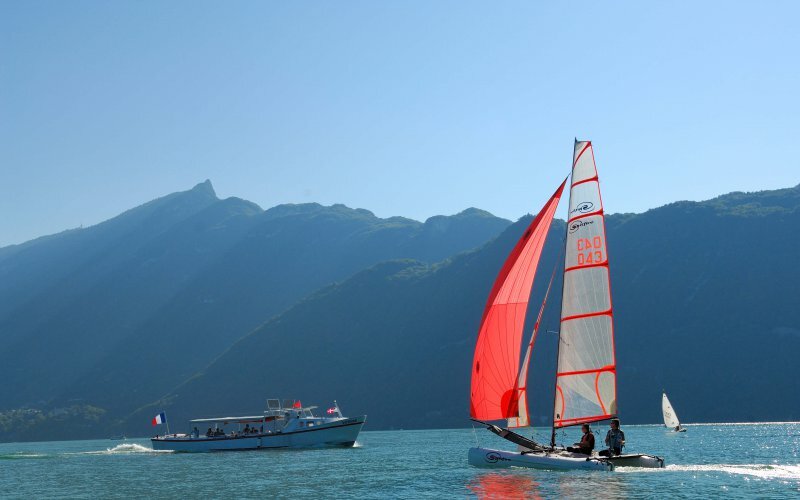 The France Water Sports Resort certification awarded to Aix-les-Bains Lac du Bourget is a guarantee of excellent facilities and a large range of water sports, with a total of over 45 service providers around the lake. For centuries, we have been conscious of the uniqueness and richness of our region, and we are committed to protecting it for future generations. The UNESCO classification recognises the merits of Aix-les-Bains - Riviera of the Alps and helps us to protect this bountiful land. 3000 years BC, our ancestors built villages at 4 sites around Lac du Bourget. These stilt houses in the water have been preserved by the lake, and they represent an important part of our heritage. Divers are uncovering the secrets of these settlements and value the priceless archaeological importance of this heritage. NOT JUST A PARK, BUT A GEOPARK! 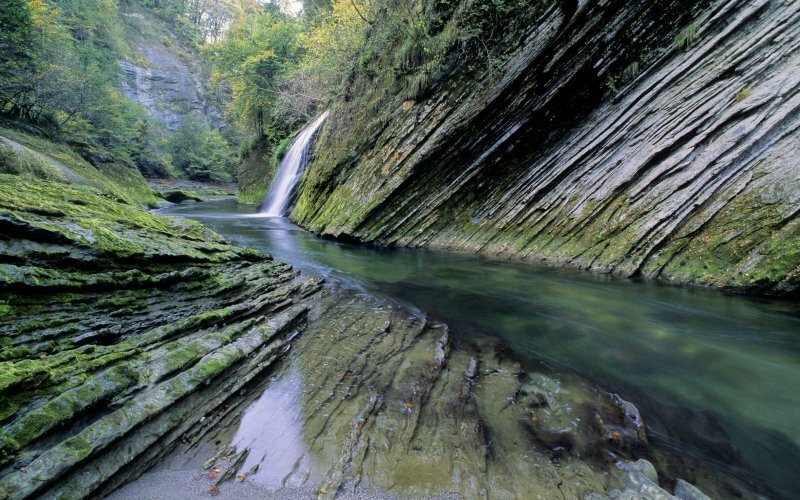 The incredible geology in the Regional Natural Park of the Massif des Bauges gives an insight into our history. This vestige of our past has been classified as a Geopark by UNESCO. As you observe the landscapes, rocks and fossils, you will have a better understanding of the 4-billion-year history of our planet. Not only that, you will discover the connections between humans and the earth. The aim of Geopark is for each inhabitant and visitor to see this area in a new light, and become committed to its sustainable development. 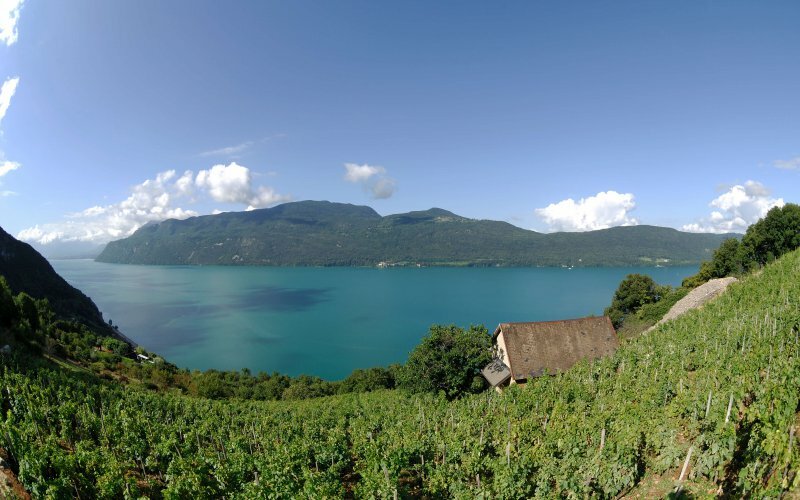 On the banks of the Lac du Bourget, the vines yearn for the sun and produce wines from an authentic region, where the art of wine tasting and French living have reigned supreme for centuries. For 5 years, around 50 passionate wine professionals care about sharing their love of good work and their ancient knowledge through this certification. Enjoy the unique experiences of simple pleasures, culinary delights, tasting local flavours and produce. Take a moment to wander along the sun-soaked hillside overlooking the lake, eat a picnic in the shade of an arbour amongst the vines, go into a cool wine cellar to taste the wines and try to recognise the notes of red fruit, pepper and white flowers... Enjoy precious and timeless moments with family and friends, right in nature! Famous wines: Savoyard appellation wines: Seyssel and Roussette de Savoie; Jongieux, Marestel, Monthoux and Chautagne crus. 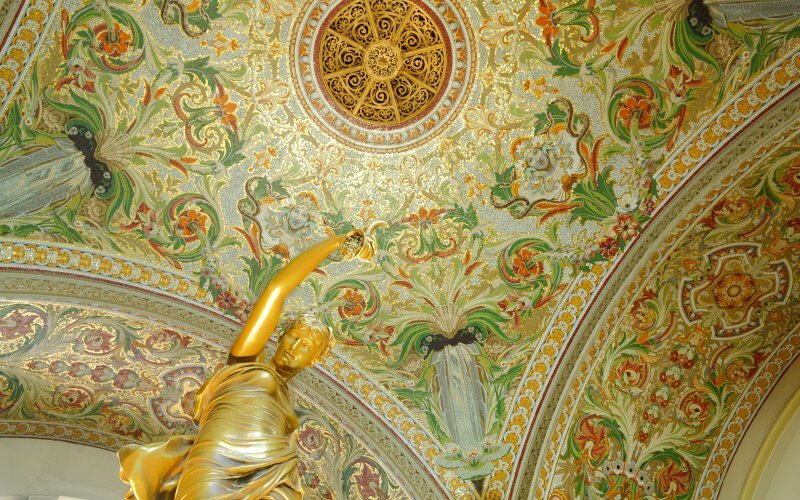 Aix-les-Bains is proud of its ‘Town of Art and History’ status, awarded in 2014 by the Culture and Communication Minister. This award provides national recognition for a shared project that places the awareness, protection and promotion of heritage at the heart of the town's cultural policies and urban development. 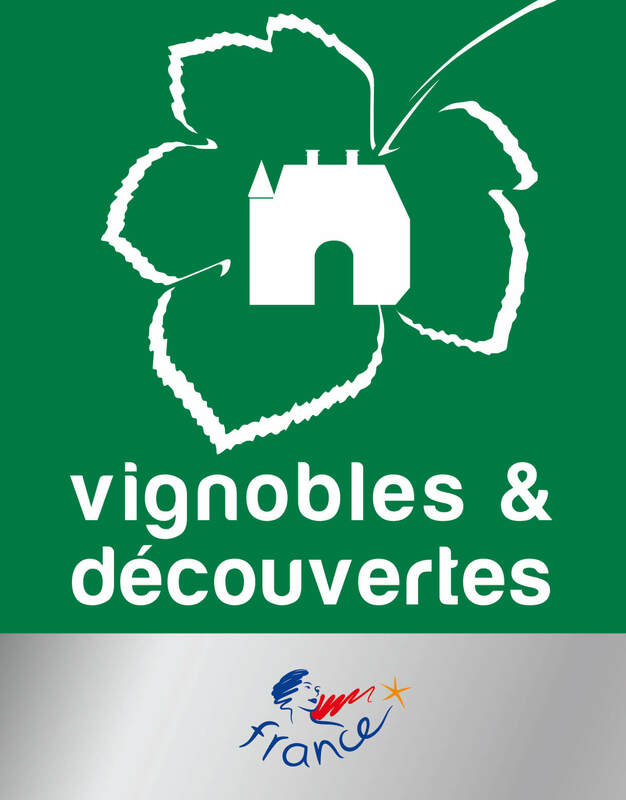 There are numerous daily activities to help you experience and learn more about our protected heritage: discovery visits, exhibitions, activities, workshops and participation in large events, such as the European Heritage Days, Garden Meetings, National Architecture Days and National Archaeology Days.